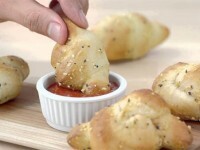 Pizza Hut has been experimenting with different pizza crusts and stuffed pizza bread items for a while now. 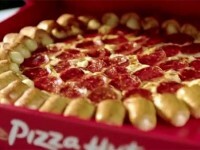 Pizza Hut has turned a popular pizza crust into a side menu item. 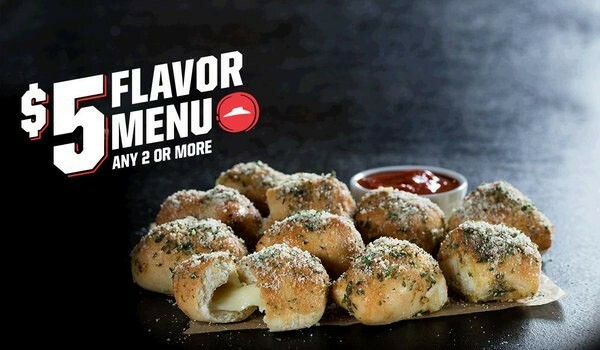 The Stuffed Garlic Knots are pieces of pizza dough filled with melted mozzarella cheese with a topping of garlic butter, Italian herbs, and parmesan cheese. 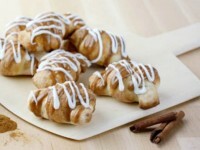 You can get an order of $10 Stuffed Garlic Knots for just $5 when you order two or more items from their $5 flavor menu.